Theatre is more than role playing and singing in front of an audience. It’s a transformative art form, both on and off stage, especially for those who have trouble expressing themselves in public. Playwright Rosette Jarriett had similar difficulties with expression as a child, she says. That’s one of the reasons she founded her Magnified Gift Theatre Company in 2016. “When I was younger, I didn’t really talk that much. I was very quiet and theatre was the way I expressed myself,” says Jarriett, 30. With Magnified Gift, she’s hoping to integrate education and theatre in a way that will encourage and inspire underserved communities on Chicago’s Westside. 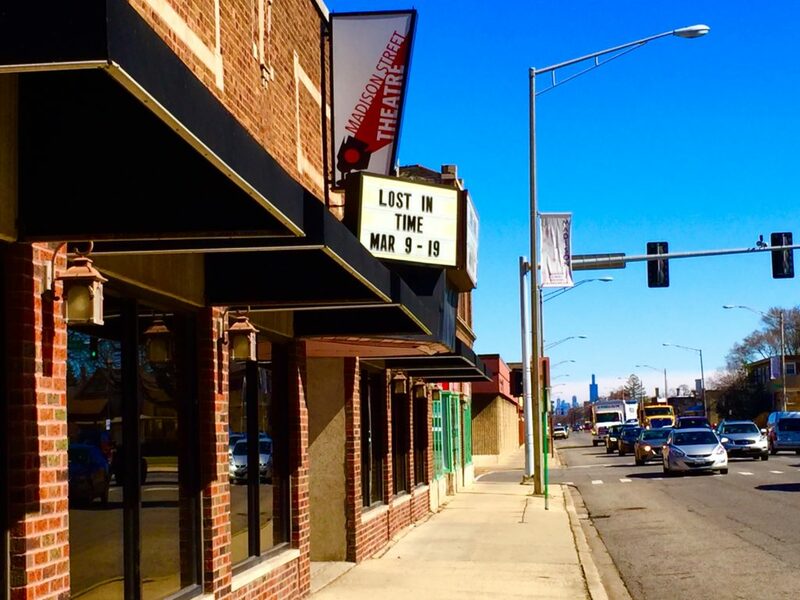 This week, the company’s second production, Lost in Time, is showing at the Madison Street Theatre in Oak Park. A story of perseverance and faith, Lost in Time follows a woman who is stuck between a hopeful future and a past filled with abusive relationships, insecurity and death. The play is directed by Nina McAlpin, an acting coach and award-winning director. Meanwhile, Jarriett flexes her drama writing and acting skills in the play. Another mission of Magnified Gift, Jarriett says, is to find a permanent home that is easily accessible to African Americans on the Westside and in the western suburbs. Though she’s thankful to Madison Street Theatre for hosting her shows, it’s not home for Magnified Gift. She and her staff are in the process of raising money for a space to call their own. Jarriett used to teach children through a head start program at Proviso Leyden Council for Community Action in Maywood. There, she grew passionate about helping low-income families while also witnessing the power of a child’s ability to learn when a dance or song is incorporated into the lesson plan.